2013 proved to be a successful year for Karen after the introduction of Troy into the team only weeks before the first competition. The highlight was winning Driver of the Year. Just as preparation began for the 2014 season sadly Troy died from a serious colic. 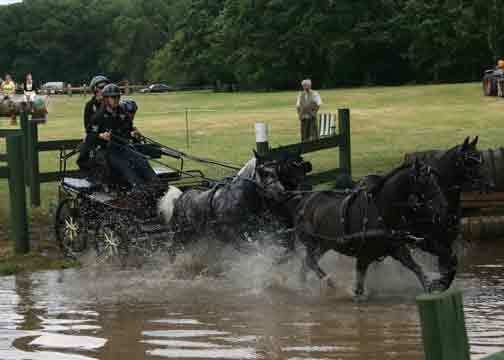 This left the team in a much weaker position to contend for a place on the British team for the World Equestrian Games. The 3 penalties for one ball down in the cones phase dropped the team out of the top three at the first competition at Ashfields. The decision was then made that the pending move to Hunciecroft was now the priority and Karen bowed out of the remainder of the season. 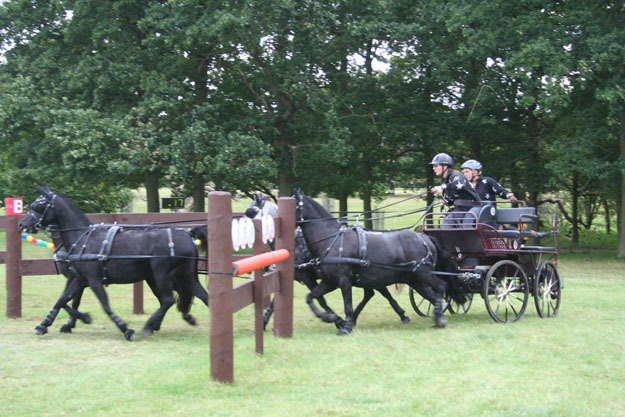 However the week before Catton Hall, Ray Aziz offered his pony team to Karen to campaign them for the Combined World Pony Championship in 2015. A close 2nd to Sara Howe at Catton, and a win at Raehills has put Sara and Karen in pole position for the British team. 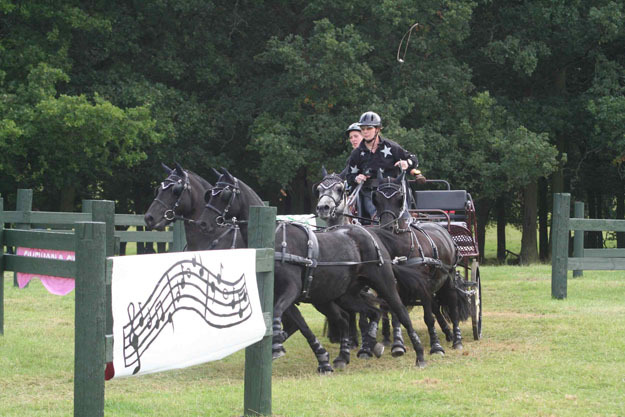 Karen also went on to win her 13th National championship title with the pony team. 2015 will be a very exciting season for Karen and her entourage of owners and helpers will be competing for a place on the British Team for the European Championships in Aachen. On March 22nd 2015 Karen had the great honour of taking King Richard III on his final journey through Leicester city centre to the Cathedral on the gun carriage. Egor, Hagrid, Awi and Kora behaved brilliantly. The pace of the parade was a very slow walk and mostly slightly down hill so Egor and Hagrid had to sit in there breaching and hold the gun carriage, which has no brakes, back on slippery tiled surfaces. Go to Karen's Horses page for more details of the team. For more details regarding the breeding of Karen's Trakehners, please check the Trakehner Society website. Sorry - we currently don`t have any horses for sale.